Built on Results. Let us get Results for you. We have over 18 years combined experience in residential real estate. We provide the cutting edge technology to market and sell our listings and syndicate to over 350 websites. We also pay for Google advertising to market our listings because buyers look online first. Residential Homes, Luxury Homes, Lake Homes, Commercial and Multi-Family in Central, South, North, East and West Austin, Cedar Park, Round Rock, Leander and the Hill Country. We take transaction challenges seriously. We pride ourselves on consistent communication. Professional Designations: Broker, Accredited Buyer's Rep, Certified Residential Specialist (less than 3% of Realtors hold this honor), Graduate Institute of Real Estate, Short sale Foreclosure Specialist, Texas Association of Realtors Instructor, and have overseen more than 6000 transactions since 2008. We believe in God, Family, then Business. We are involved with charities including, Austin Junior Forum, Texas Burn Survivors, Meals on Wheels, Mike's Place Alzheimer's, etc. As REALTORS®, we place tremendous value on making your transaction as efficient, enjoyable and profitable for you as possible. 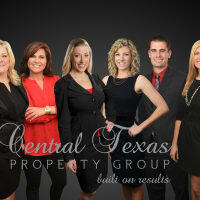 It is our top priority to provide superior and professional service when you are are selling property in Austin.